For geeks like me, having a server rack in your basement is just about one of the coolest things you can have. 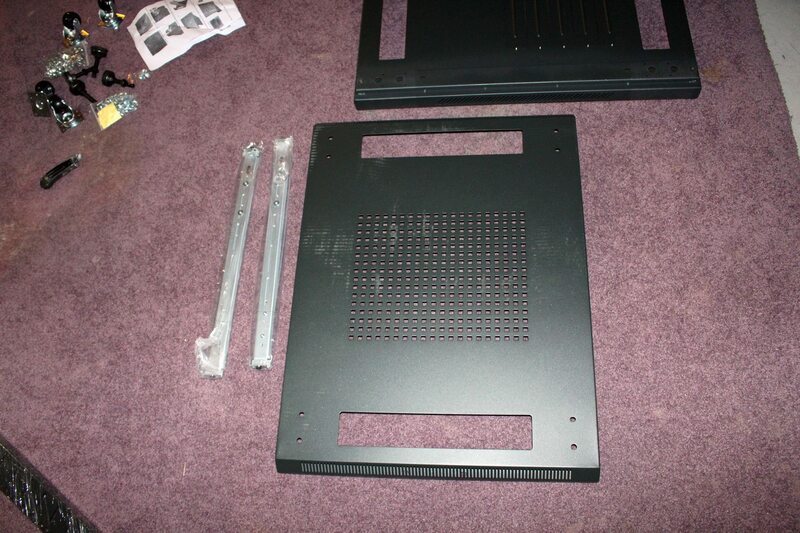 In our last server build, we went the rackmount way, leaving the full towers far behind. This route just gave us more from the platform. 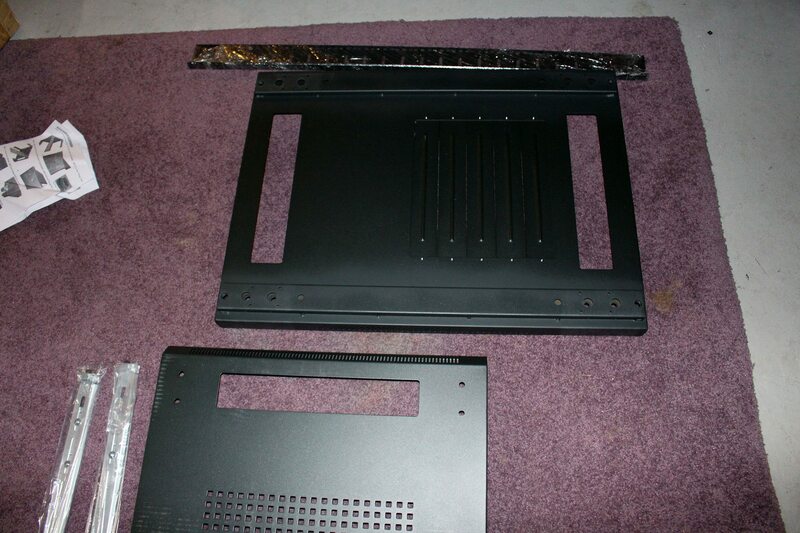 With that though, having a rackmount server sitting on a table in the middle of the living room or basement isn’t the best, nor the brightest idea. 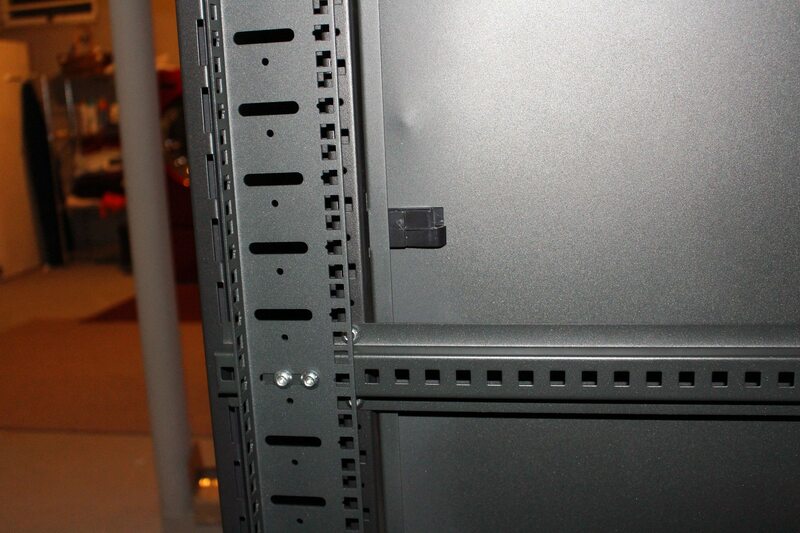 However, most server racks are just too big to be useful in a home and building one takes a lot of effort. 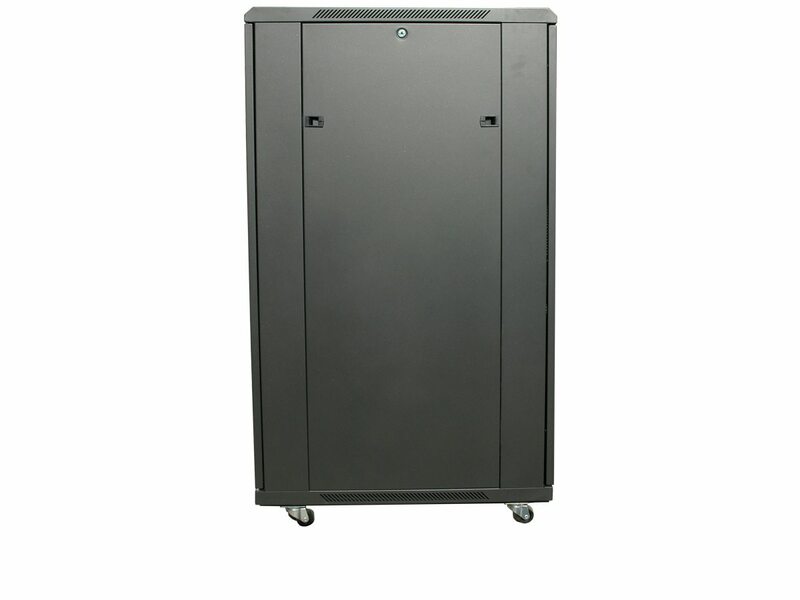 Enter the Norco C-24U cabinet. First, this cabinet is a 19″ Server cabinet that fits the bill. The 24U cabinet is big enough to fit just about everything I could want (in my basement) but small enough to be a part of the basement and not take over. Many of us have seen the Norco cases find a home for unRAID builds, but I hadn’t even considered them for server racks, until now. 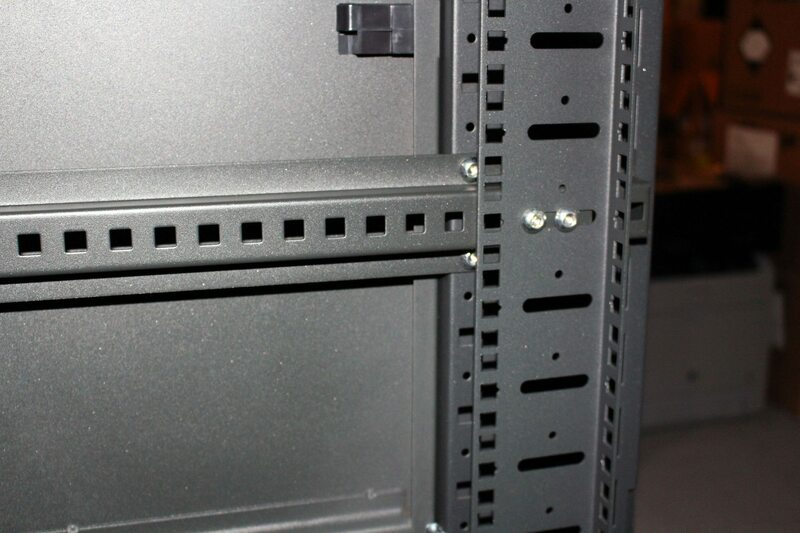 To get some of the small details out of the way, the Norco C-24U is, again, a 24U server rack/cabinet that measures in at 23.62(W) x 31.5(D) x 49(H) inch, weighs close to 200lbs, is made of SPCC cold rolled steel, and is painted with a sinister black powder coating. 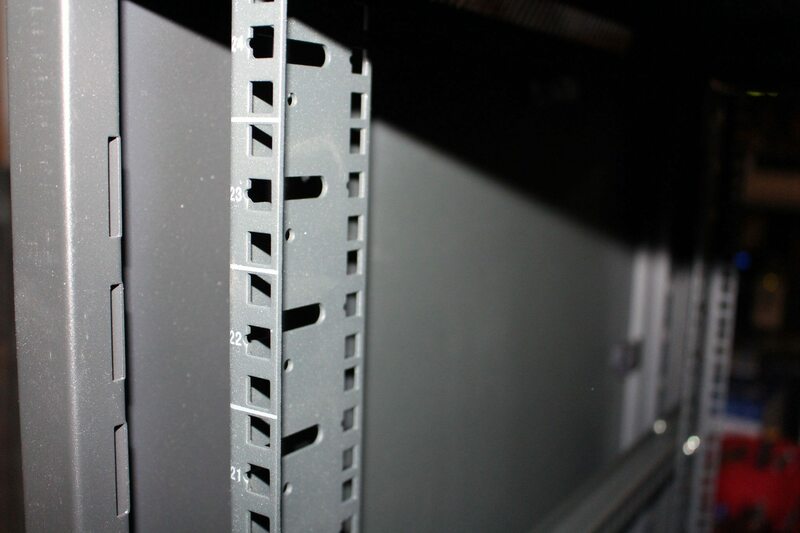 The rack itself can handle up to 1670lbs of pure computing madness while providing plenty of airflow for the whining fans housed inside; the rack is nearly 71% ventilated. 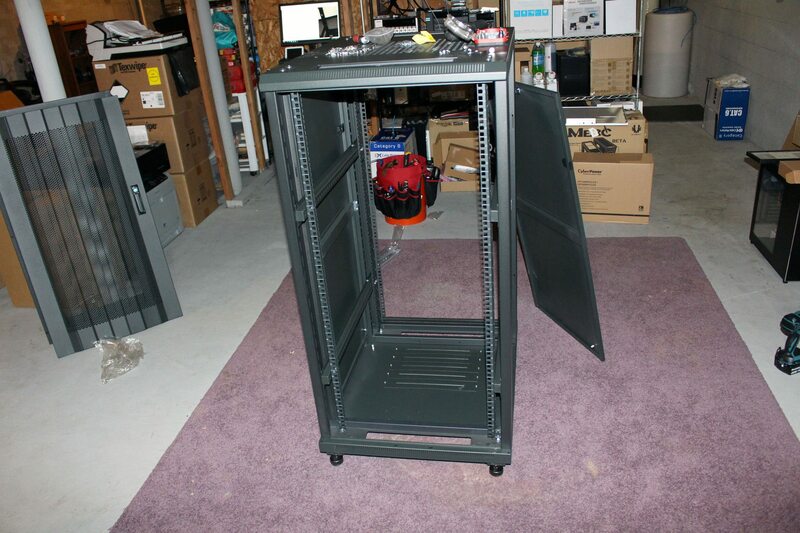 Some of you may be asking, what do you have that you could possibly want a server cabinet for? Well, for one, the COD Server build, another COD Server build acting as a backup and a domain controller, a media encoding machine, a rackmount switch, a KVM, and a few other small miscellaneous systems. Having systems like this strewn about in my living space caused a bit of friction between myself and the wifey… so I had to clean up my act, the office, and the basement. 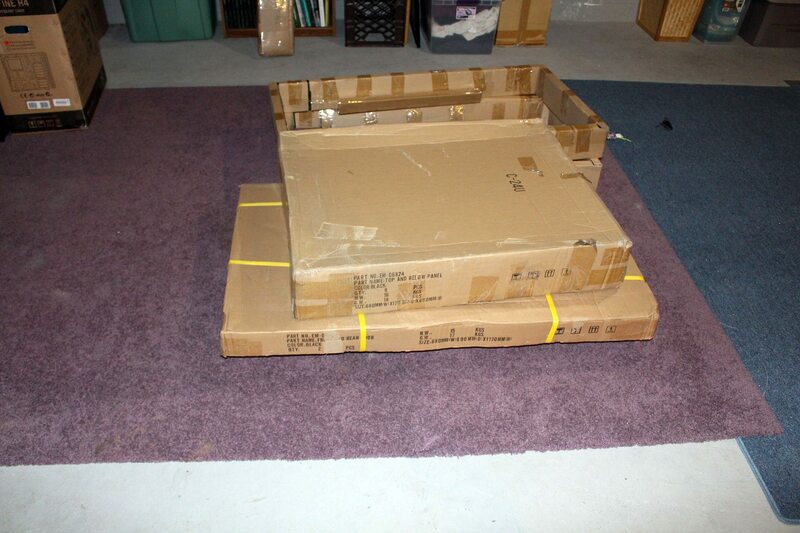 When shipped, the cabinet will arrive at your door via a delivery service in five rather large boxes strapped to a pallet (4 shown). 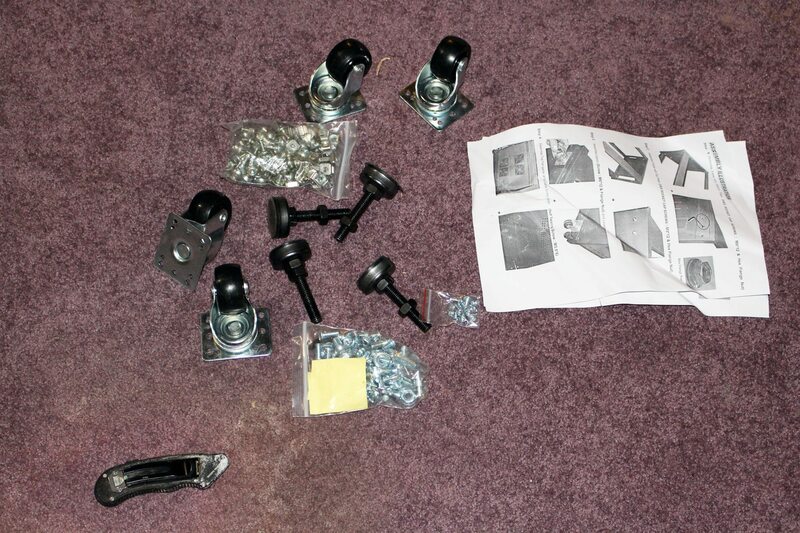 Unpacking reveals a slew of parts and some good old-fashioned assembly instructions. Now when I say old-fashioned, I actually mean useless. 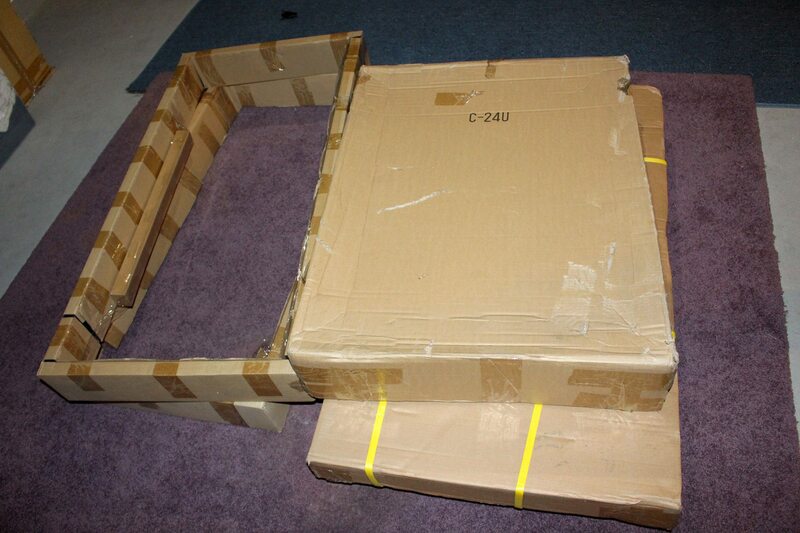 For the most part, most of us assemble furniture or household items following along intently; Norco, however, has provided instructions that are illegible, unintelligible, and indiscernible. Thankfully, quick thinking folks like us hit the web to find some legible instructions (with color) on the product page – LINK. Honestly though, the cabinet is easy enough to put together without them. Product assembly was in the neighborhood of around an hour. All the things you would expect are available, but some consideration must be made for spacing of the server mounting racks. Norco provides you with enough leeway to configure the rails to your liking, but assembly without planning will usually require some reassembly. For instance, COD’s Server build uses a rather deep SilverStone RM420 chassis which requires the racks to be spaced farther apart and closer to the front. 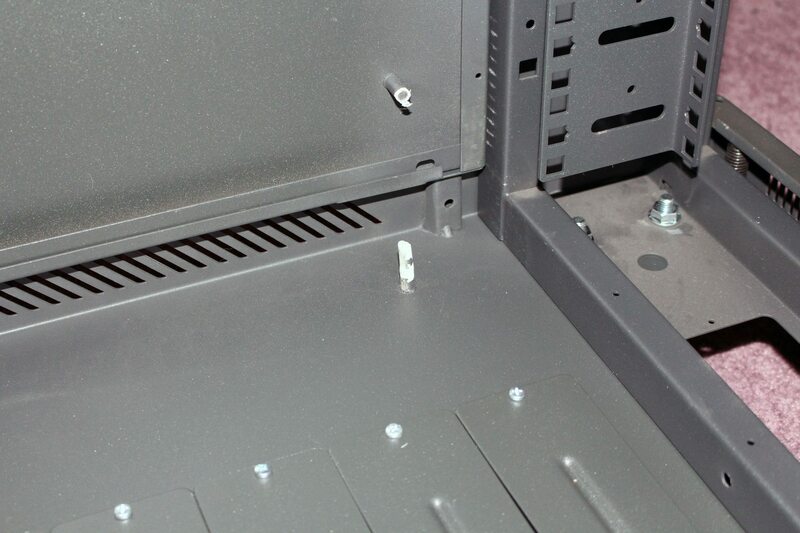 However, with this configuration, installation of a Rosewill RSV-L4412 would require the removal of the front bezel and handles in order to close the cabinet door. Once the assembly is complete, the cabinet’s industrial appearance reveals quality craftsmanship and that deep dark black powder coated aesthetic that can bring your inner Vader out for display. Each of the cabinet’s side panels are removable, feature quick release handles, and the front and back doors both feature the same latching mechanism that can be locked. While the front door features some beveling, the back door doesn’t. The latches are strong and once you press the release mechanism (the key hole) the latch presents itself with authority. The top of the cabinet has cutouts for ventilation and two removable panels, while the bottom sports seven removable panels to suit any purpose. 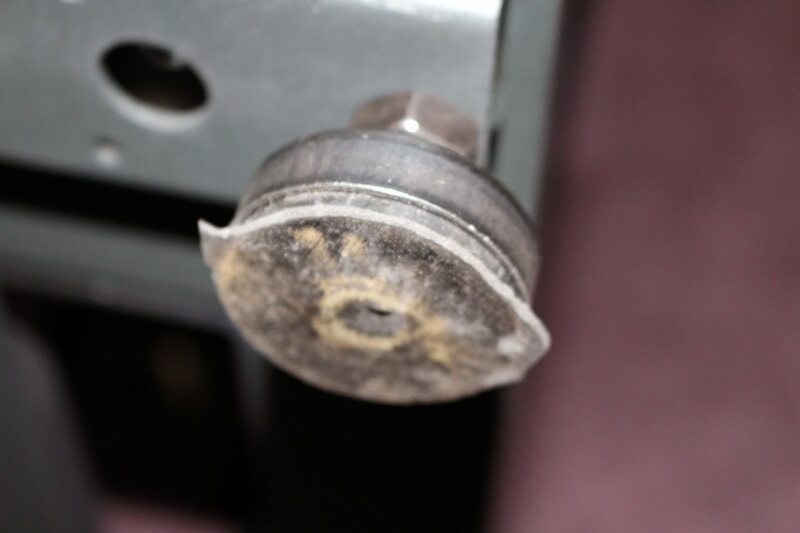 The cabinet also rides on heavy-duty casters and employs four leveling feet for a fixed implementation. 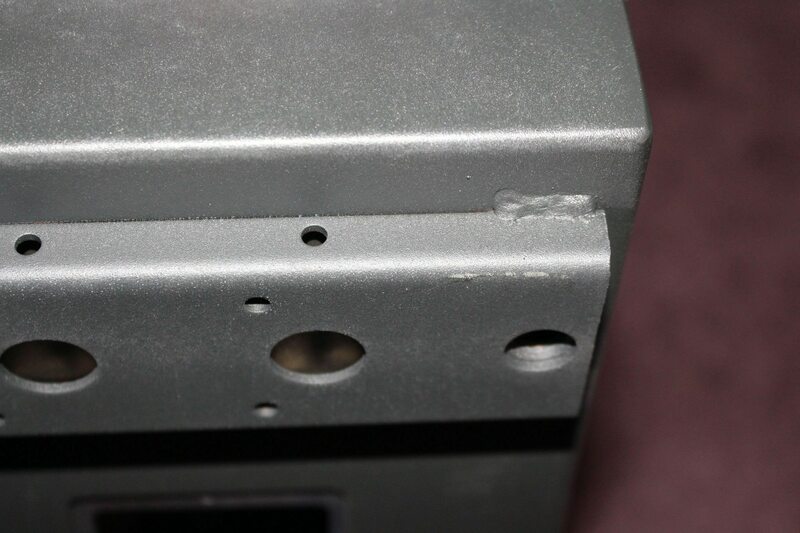 The bottom supports are spot welded in place. If you were to ask me, I would prefer to see better and more frequent welds, but that doesn’t mean that this is frail. There is an area between the folded steel, at each corner, that becomes a black hole of sorts; any items dropped during assembly of anything internal somehow finds its way between this space and is lost forever, unless you have a strong magnet and an iron will. Inside, the rails are clearly marked for proper server installation and the included square holes allow for the installation of nearly any type of hardware. 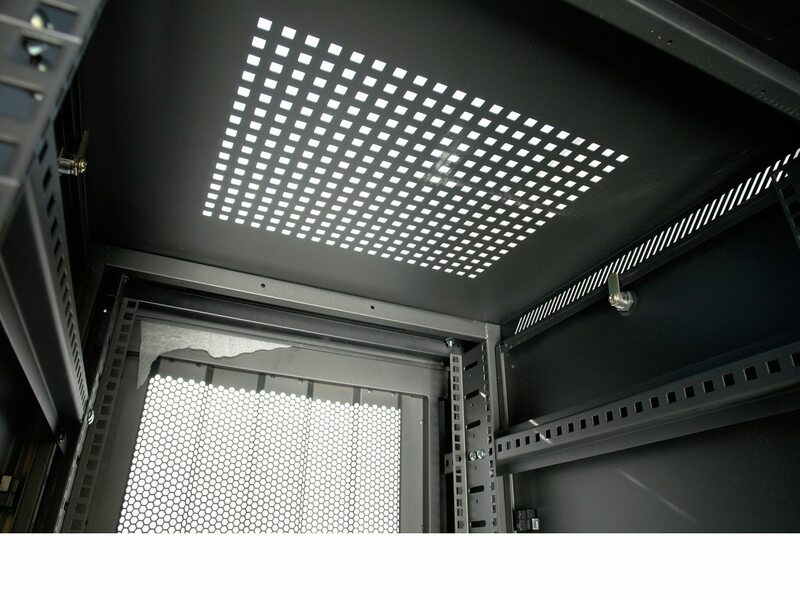 Square holes provide the most flexibility for your configuration. When all is said and done, the cabinet is strong, sturdy, and easy on the eyes. At less than $600 USD, there isn’t much out there that can beat its quality and cost. 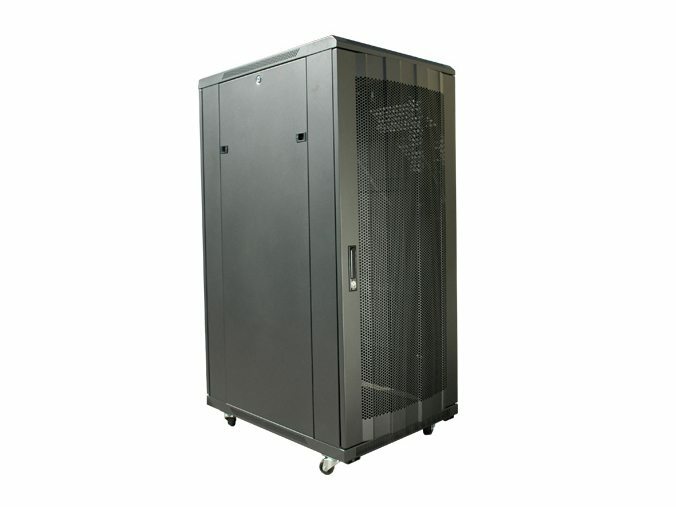 The Norco C-24U Rack Cabinet is perfect for those that don’t need more than 24U, have space restrictions or are looking for a high-quality rack cabinet at an affordable price. I have experimented with building rack cabinets in the past, and each time the cost rises to nearly the cost of purchasing one. Although my carpentry skills aren’t exactly stellar, I can handle tools and cut straight, but something always seems to be misaligned. 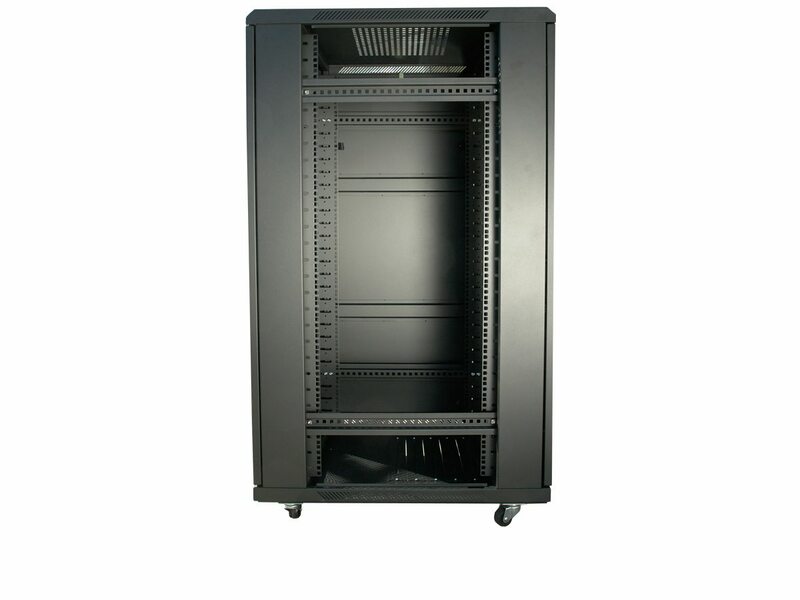 If you are in the market for a 24U cabinet look no further, the C-24U is top notch. There are a lot of things Windows Server does well. However, coming off of the NAS environment, there are a lot of things that it doesn't. One of these is a simple method for web access to various files and folders, along with the ability to share them via user login or simple url. Until recently, there had been only one real player in this space, OwnCloud. I had fiddled with the product for some time, but features were slow to show and it just didn't work the way I had been hoping it would.